and Exchange editions and includes unlimited network shares. - Mount cloud storage as a local disk. - Browse S3 Storage in File Explorer GUI. 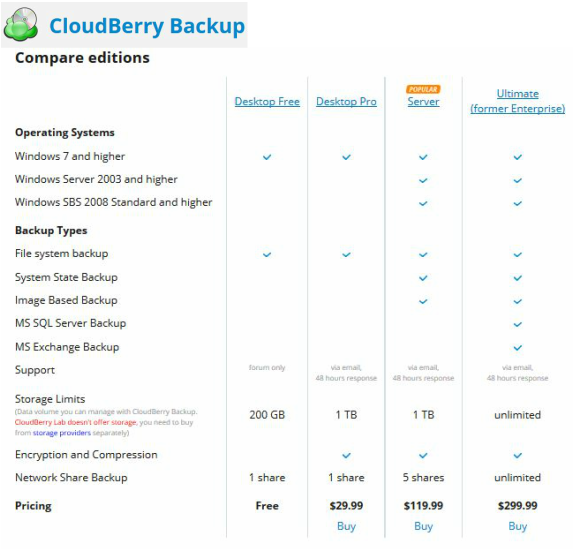 Click HERE to return to your Shopping Cart for CloudberryLab Backup Software.